There are so many paths I could take with this issue, but what has recently been on my heart is the behavior of a Godly woman. 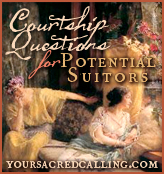 What does the demeanor, attitude and behavior of a Godly woman look like? In being a keeper of the home and raising our daughter to be a keeper of the home, this issue has come before me time and time again and it is something I cannot ignore. So how are we supposed to act? Our daughters reflect who we are. If my daughter displays a behavior that doesn't seem quite right, I usually don't have far to look in order to find where she learned it. Nothing besides the good Lord and His Word, has had more influence on who I am today as that single fact has. So when it comes to my attention that our daughter is not displaying the proper character qualities of a Godly young woman, it is usually because I am not demonstrating it. I never have to look very far, lol. Even so, it is a wake up call for me. When I need to learn something, I search high and low for the information. I was thrilled to find some solid, biblical teaching with two different books....'Raising Maidens of Virtue' by Stacy McDonald' and 'So Much More' by Anna Sofia Botkin and Elizabeth Botkin. I highly recommend both of them to anyone raising daughters. Also, there is a great CD called 'What's A Girl to Do' How to Wisely Invest Your Daughter's Time by Douglas Phillips. 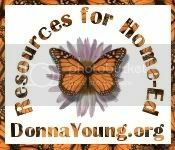 These are excellent resources! One thing I have learned, (which should be common sense, but usually I have to have things spelled out for me), is that our actions are simply a reflection of our heart and spirit. If we have a rebellious and discontent spirit, it will be obvious in our behavior, our carriage and our speech. A boisterous, tomboyish, masculine spirit will also come out in many ways for everyone to see. 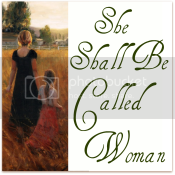 Is this the picture of a Godly woman? In Psalms we find some answers... "....that our daughters may be as corner stones, polished after the similitude of a palace.." Psalm 144:12 Our daughters are to be beautifying, supportive, and hospitable within her father's palace and outside her walls, she is to be an ambassador, representative, and .....'as arrows are in the hand of a mighty man'...Psalm 127:5. Of course as wives, we are to be this for our husbands. Through our behavior, carriage and demeanor, we should not leave any doubt to anyone that we are submitted to our father or husbands protection, the daughters of a king, a princess worthy of honor. I can tell you right now, that this does not describe me at all. I am Irish. I am head strong, strong willed, loud boisterous and at times I'm sure I can be undignified. I can be too casual, too bold, too strong,...do you get the picture? I used to buy the whole feminism lie, lock stock and barrel. It drove me into the ground. God created women to be women! Not men! Yes there are many similarities, but HUGE differences! Once I learned this little fact, I have found that I love being a woman. I love being a keeper of the home. I love having the protection of my husband. Why did I waste so much time of my life trying to prove that I was who the world said they wanted me to be only to find out it was never good enough and that no one really cared anyway? God cared, because when I had finally reached the end of me......I found Him. He was waiting for me all along. So now, I am relearning how to be a woman as God created me. So here is the question again. How are we supposed to act? Over and over again I keep coming across this picture of a Godly woman. She radiates dignity, regal serenity, respectfulness, grace, a gentle and quiet voice, poise, discretion, self-command, sincerity, peace, compassion, cheerfulness and humility. She stands out as a woman of quality. She displays the magnitude of God's grace by showing how our crude, unrefined behavior becomes gentle and quiet. This is my goal, by the grace of God. Dignity: The quality or condition of being esteemed, honored, or worthy. Self-esteem, poise. Stately reserve in appearance and demeanor. The respect and honor associated with an important position. Regal: Relating to a monarch: royal. Of great magnificence. Respectfulness: To feel or show regard (esteem) for Willingness to show consideration or appreciation. Polite expressions of consideration. Grace: Apparently effortless charm or beauty of movement, form, or proportion. A characteristic or quality pleasing for its charm or refinement. A disposition to be generous or helpful (good will). A gentle and quite voice: I think this is self explanatory. Poise: To hold or carry in balance. To be balanced or held stable. Not awkward or embarrassed. Discretion: Having or displaying a judicious reserve in one's speech or conduct. Prudent. Lacking pretension or ostentation...modest. The quality of being discreet. Self-Command: Self-control. Control one's feelings, desires, or actions by one's own will. Sincerity: Presenting no false appearance; honest. Pure. Peace: Freedom from quarrels or disagreements. Inner contentment: serenity. Free from strife. To be silent. Compassion: Sympathetic concern for the suffering of another, together with the inclination to give aid or support or to show mercy. Cheerfulness: JOY Being in good spirits: happy. Exhibiting good spirits. Producing good spirits. Willing: good-humored. Humility: The quality or condition of being humble. Characterized by modesty or or meekness in behavior, attitude, or spirit. Exhibiting submissive respect. Meekness: Exhibiting humility and patience: gentle. Can you picture your daughter radiating these qualities? To picture our daughter exhibiting these qualities brings a smile to face and a warming of my heart. How can I teach these qualities to her? By demonstrating them myself. My daughter and I have compiled a list of these qualities with their descriptions and have began to direct our hearts in this manner. It is not an easy process, but I have faith that we will succeed. God has turned our faces and our hearts to this matter, which I have found is a direct indication that He means for me to get to work on it. :o) I am but a servant, but I rock the hand of the cradle of the future. 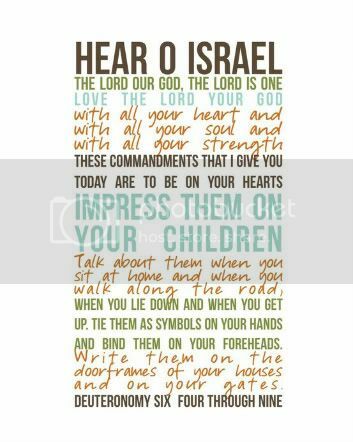 God has given me a very small window of time to write His laws on our daughter's heart and it must be done with purpose, diligently. God sets nothing before us that He will not strengthen us for nor forsake us as we journey through it. 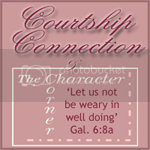 So I am absolutely convinced that these Godly character qualities can be achieved!.....Pray for me! I am trying to turn myself into a Godly woman - someone God would be proud of. I wasn't raised as a Christian so am attempting to teach myself. A little late! Are those two books aimed at mothers? I am always looking for new instruction! Hi Jenny and welcome! These books I have listed are not only for mothers, but for women in general. I, myself, have learned a great deal from them. They speak on many things including the relationship between girls/women and their fathers. The book, 'So Much More', speaks of what works for women according to God's plan and what doesn't and why. It teaches on several women's issues explaining the feminism movement and how devastating it has been on women. Another great CD to listen to is called The Blessed Marriage and A Wise Woman's Guide to Blessing Her Husband's Vision. Both are by Douglas W. Phillips. They are priceless. Please feel free to email me privately too if you wish! 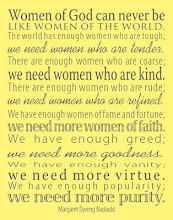 What a wonderful list of qualities to strive to have ourselves as well as to teach to our daughters! 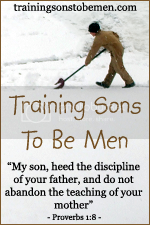 I am always looking for good parenting resources, so thank you for sharing these! I also love Raising Maidens of Virtue! Great great book!!! Really makes you think! :D Great post! !